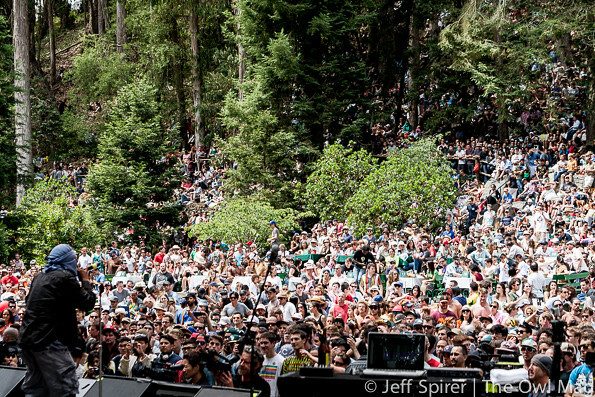 It’s difficult to imagine 11,000 people moving up and down, back and forth, in unison, to symphonic hip hop in the woods, but it happened at Stern Grove. 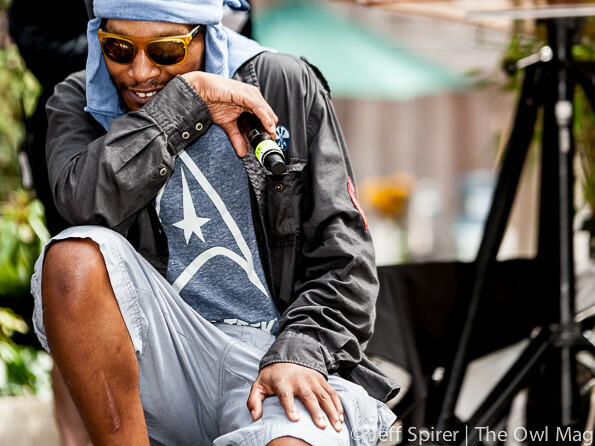 Deltron 3030 played the summer festival this year and it got everybody up and on their feet. Stern Grove is San Francisco’s unique musical venue, with a natural amphitheater in a park filled with eucalyptus trees. 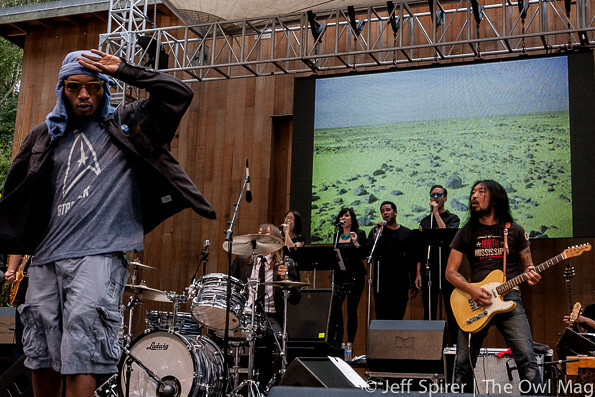 Summer sees events every Sunday for two months with music from the San Francisco Symphony to, well, Deltron 3030. Some old school rock, some blues, modern jazz, and a few other genres happen along the way. 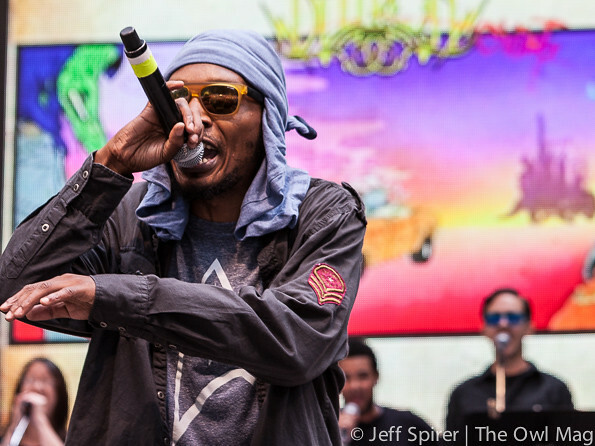 Deltron 3030 brought their “space opera” and it sounded terrific. 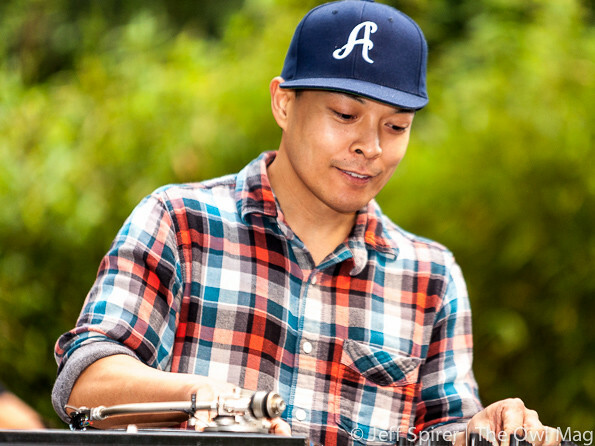 Behind Deltron 3030 (Del The Funky Homosapien on vocals, DJ Kid Koala, and producer Dan The Automator) were an eight piece string ensemble, four horns, two guitarists, four vocalists, and a drummer. 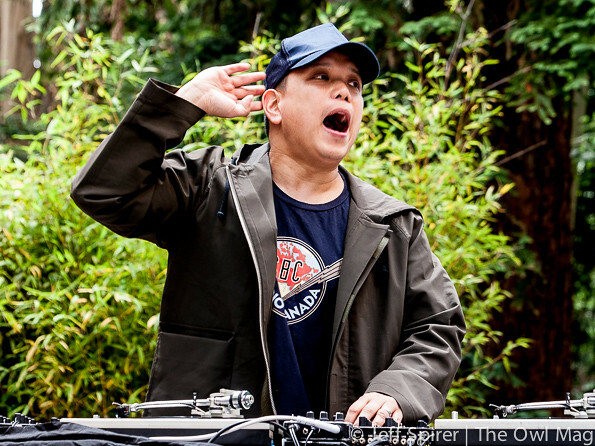 The sound was rich and full, providing just the right backdrop to Del’s rhymes and vocal stylings. 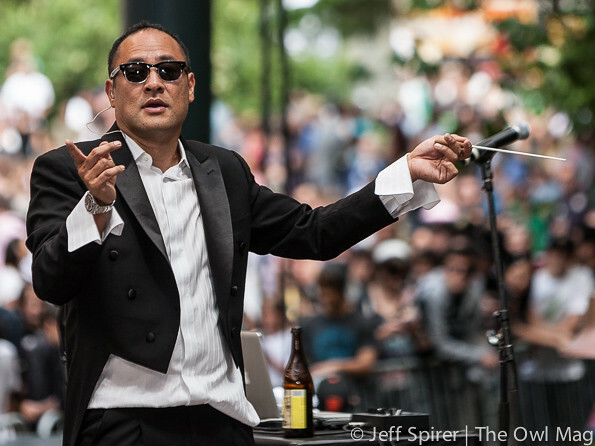 Dan The Automator acted as conductor most of the time, with a baton and a bottle, but added occasional vocals and talked to the audience from time to time. He had a computer and some controls, but spent most of his time out in front, waving the baton, interacting with the performers, and clearly reveling in his role as maestro. Horns, strings, guitars, vocals and drums did exactly what you expected them to in a totally unique situation – they played professionally and enthusiastically. 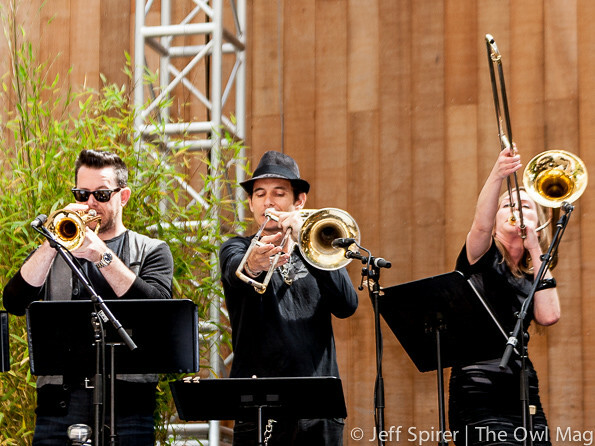 Horn players and vocalists were often dancing, one trombonist thrusting her instrument up in the air as she danced. And there were guests. 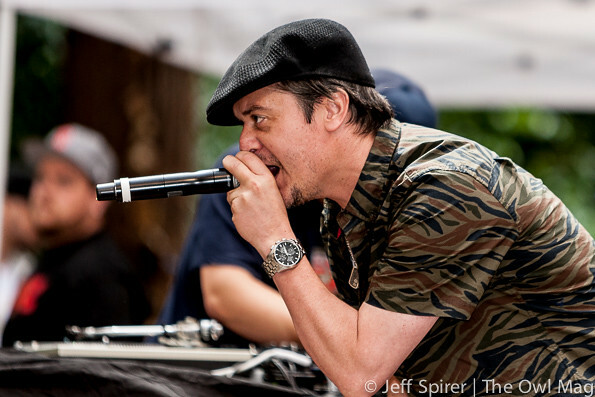 Mike Patton (Faith No More, Mr. Bungle) came out briefly to add some yelps and hiccups, and Qbert added some turntable stylings on Koala’s setup. No showboating, just becoming part of the experience on stage. And that experience came to Del to bring it all together. Up-front with his simultaneously intense yet relaxed style, at times seeming old school-ish and at other times doing what no rap artist has done before, Del kept the crowd going. 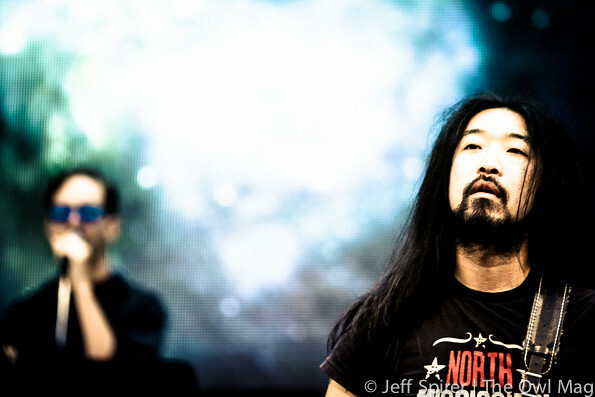 At one point, he made sure the crowd knew the words so they could sing along. And bookending the show with “3030” as the opener and “Clint Eastwood” as the closer guaranteed everyone walked through the woods happy after the show. For more badass photos, go HERE!